Life-Cycle Ltd launched Bike Fit Studio in 2014 as a way to provide Premium Retül Bike Fitting in Ireland. Bike Fit Studio worked closely with Retül to bring the first purpose fit Retül Bike Fit Studio to Ireland, and this has resulted in a state of the art studio where cyclists come from all over Ireland to conduct the best bike fitting service available. 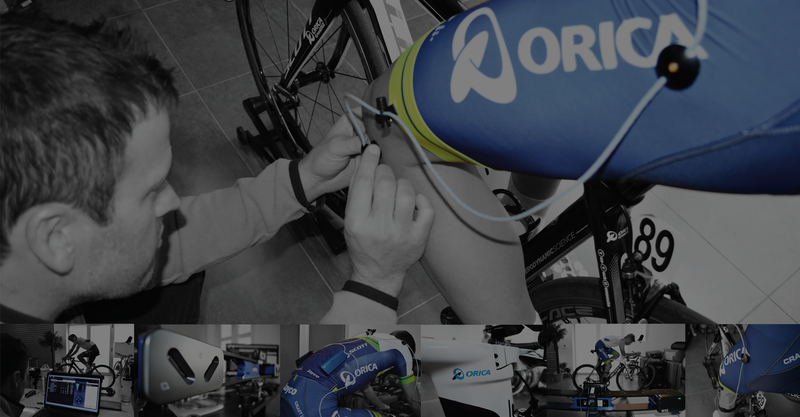 Bike Fit Studio is run by three established and experienced bike fitters in Dublin, Ireland. With a broad mixture of experience in Road Cycling at an International Level, Mountain Biking, Time Trial, Triathlon, and Track Cycling – Bike Fit Studio provides bike fitting for all levels of cyclists, with results based on the data of thousands of bike fitting sessions globally. To read about the advantages that a Retül Bike Fitting offers you, and the benefits of coming to Bike Fit Studio, see below. Retül Bike Fitting uses a 3D technology that not only analyzes your cycling position from a side view, but uses infra red imagin to analyze your lateral side to side movement. This 3D view is what separates a Retül Bike Fitting from other basic bike fitting that are done by sight or using lazers that don’t show the full picture. Many other bike fitters who operate without the inclusion of lateral movement analysis are only giving a bike fit based on the side on view, and look to find the ideal position in 2D – however this doesn’t consider how each position change will affect how your body moves from side to side. By choosing a Retül Bike Fit, you are getting a bike fitting that uses real time, dynamic tracking of your full body movement along with your angular position on your bicycle. This means that Retül Bike Fitting measures the effect that your position changes have on how your body moves from side to side as a result of your position – and this is why Retül Bike Fitting is used by so many professional cycling teams. You can come to Bike Fit Studio and experience a premium bike fitting that provides you with knowledge, experience, and accurate analysis of your full body position on your bicycle. Retül Bike Fitting will give you a whole picture of what is happening to your movement based on your bike position, and this is important to remember where other bike fitting services only provide you with a side on view that doesn’t track the effect on your lateral movement caused by changes to your bike fitting. There are many cases of cyclists who have paid a lot of money for bike fitting, but after their session – things just never felt right and new injuries appeared. In most cases, this is because the bike fitting service they used was built upon fitter knowledge and 2D analysis, instead of the data driven approach that is taken at Bike Fit Studio in a 3D environment. At Bike Fit Studio, the bike fitters understand that for every change that is made to a cyclists saddle height, or arm reach, there is a corresponding effect on how the legs move sideways. So Retül’s 3D Infra Red technology identifies what changes are happening to your position from a side on view as well as a head on view. By using this approach, when you do your bike fitting at Bike Fit Studio, you will get a position that is the most efficient, aerodynamic and – while also reducing your lateral movement which is very often the cause of common knee, hip, and back pain. There are vast differences in the accuracy and results from having Retül Bike Fitting done at Bike Fit Studio – and this means that the premium price you pay is giving you a more in depth fitting and service compared to other bike fitting services. As part of your appointment at Bike Fit Studio, you are getting the experience of multiple bike fitters with vast experience in cycling which results in better input and advice in finding the perfect bike fit for you. Bike Fit Studio pricing has been carefully set to bring you the best value Retül Bike Fitting in Ireland, that offers a data driven and scientific approach that improves upon the older methods of bike fitting based on 2D analysis of angles. These older based on fitter knowledge, and very often there is human error in this manual approach. At Bike Fit Studio, you are getting in depth fitter knowledge that is backed by dynamic real time analysis of your position that measures the effect that vertical changes to your position have on your lateral movement. After reading about the benefits of Retül Bike Fitting over other bike fitting services using lazers and non data driven decisions, you may be interested in contacting Bike Fit Studio. If you would like to book a bike fitting at Bike Fit Studio for Retül Bike Fitting Ireland, you can book right here by clicking the button below.